The 'who will I play as' poll is complete. And you voted to have me play as all three characters in the game. So be it. I wouldn't go to the extra effort for just anyone, but for you Adventure Gamer Blog Readers, I'll do it! Deep breath - okay. I'm ready to be all that I can be! 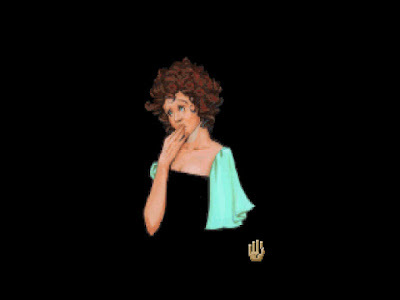 I'll play it similarly to how I played three characters in Leather Goddesses of Phobos 2. I'll start a post as one character, then play the same section with the others and note the differences. But as the Quest for Glory characters have no pre-defined personality I decided to give them rudimentary RPG-style personalities. Is this a waste of my time? Most likely, but it helps me keep them separate in my mind rather than just being 'me solving puzzles slightly differently'. Greetings, friends! 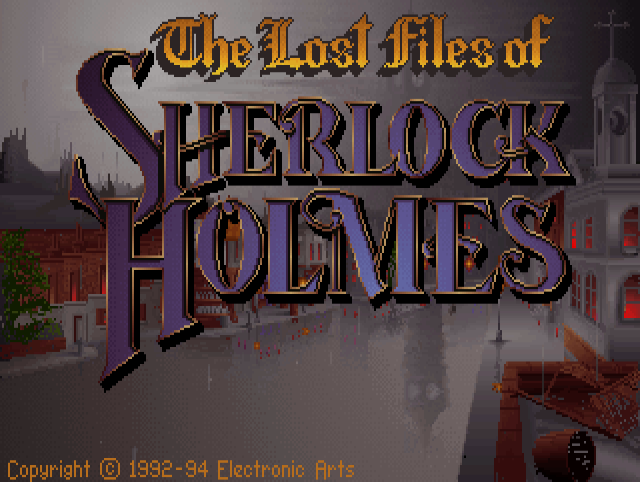 It’s time for me to brush off my mouse skills and play a game that requires clicking: The Lost Files of Sherlock Holmes. Despite being released at the height of my youthful game playing, this one is completely unknown to me. I really was a Sierra-snob growing up, but I got better. I reviewed the first game in the Consulting Detective series almost a year ago and I am looking forward to seeing another approach to adapting the characters. Like so many of these licensed games, the developers do not have a strong adventure game pedigree. This is the first adventure to be developed by Mythos Software, a studio only two years old and thus far dedicated to arcade-style games. 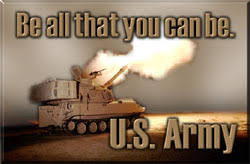 It was founded in Arizona by James Ferguson in 1990. James’s team was joined by Electronic Arts team members R. J. Berg and Eric Lindstrom, for game design and story respectively. Mr. Berg and Mr. Lindstrom were both new to their careers with their highest profile work in narrative games being documentation for FairyTale Adventure and Keef the Thief. One potentially shining light on the team was Christopher Erhardt, the producer. We haven’t come across him yet, but he was a former Infocom employee who was brought in to help the company adapt to graphical games. He also produced the Infocom release of Quarterstaff. It’s a new team, but I have high hopes! Strap yourselves in, ladies and gentlemen, and prepare for a tale of squandered opportunity. 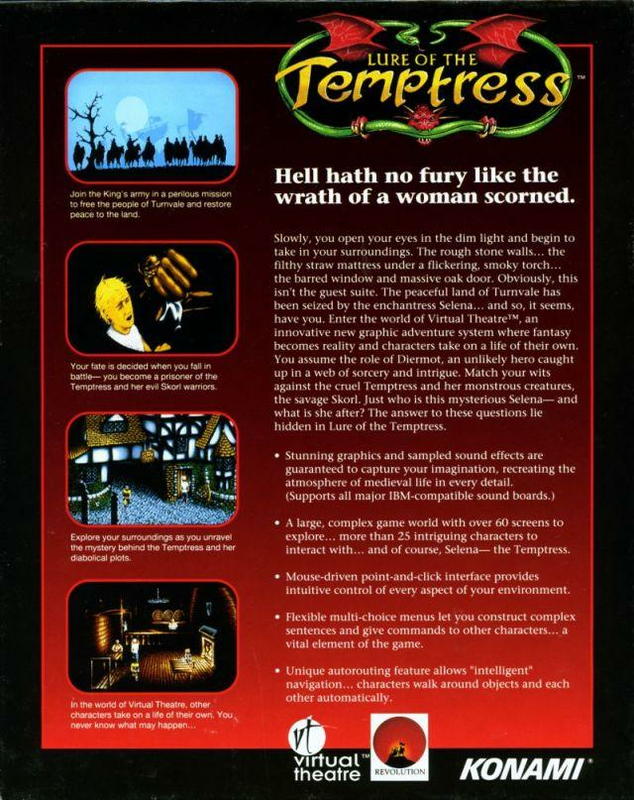 Deep down, I think that Lure of the Temptress and its game engine had the potential to be great. Not just good, but fantastic. Sadly, a case of the first-time yips might have gotten ahold of the developers at Revolution Software, and what we ended up with was a group of guys that didn’t yet know quite what to do with the shiny new toy they had created. I LOVE that Diermot getting punched was used on the back of the game box. If you’ve been reading my posts, you’d think I absolutely hated this game. I did not. I was more disappointed than anything because it showed flashes of brilliance. I will say that certain aspects of the puzzle design made it very cumbersome to play at times, which certainly diminished my enjoyment. According to Adventure Gamer comments, Revolution’s later game, Beneath a Steel Sky, is fantastic and is regarded as a classic for a reason. I’m glad to hear that. Obviously, Revolution had great success going forward for a reason—hell, the studio still exists—but it’s heartening to know that its later games lived up to the wasted potential of Lure of the Temptress. I mean, they also produced the insanely popular Broken Sword series. With that said, let’s get PISSED! 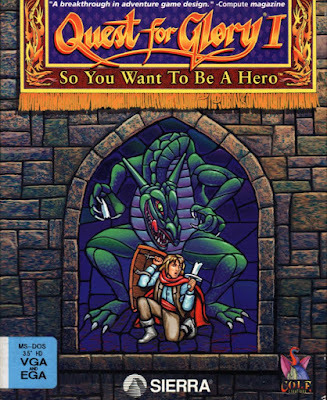 Quest for Glory I: So You Want To Be A Hero is a remake of the 1989 game Hero's Quest: So You Want To Be A Hero. If you want to know why the name was changed to Quest for Glory, check out The Trickster's introduction post for the original Hero's Quest. 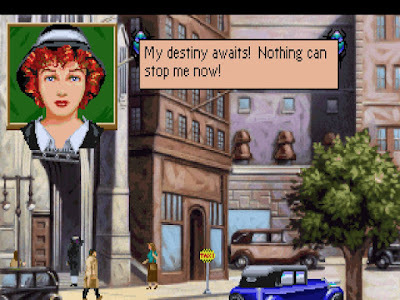 Unlike many fans of old Adventure Games, I'm not a fan of the Quest for Glory series. Don't get me wrong, I'm not NOT a fan either. I've just never actually played them. I own them since I bought them a few years ago, but haven't yet given them a go. I originally thought I'd tried this game once, but seeing as Steam's telling me I've played a total of 18 minutes of the series, and that was after I loaded it up to take some screenshots for this Introduction and download the manual, I was probably mistaken. 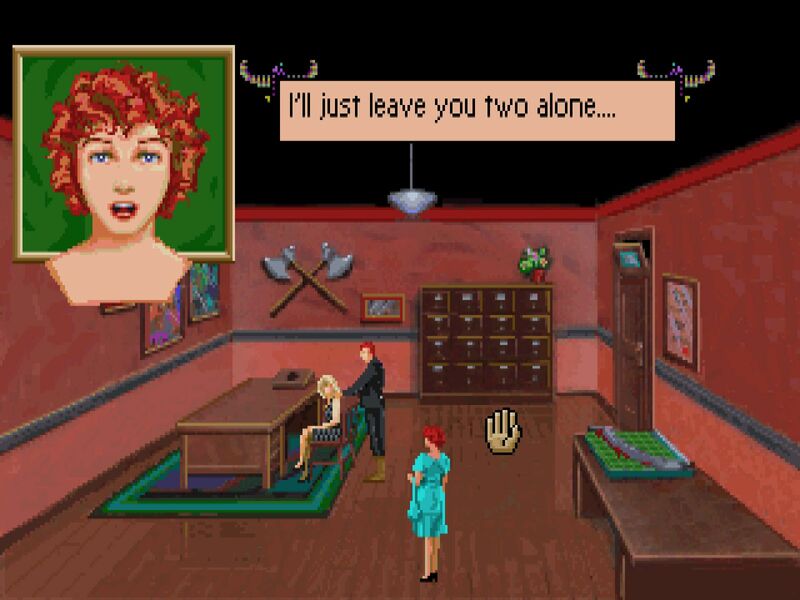 I likely first heard about the series once I got access to the internet in the mid-late 90s and I know I heard good things, but I was in the mindset of not going out of my way to find Sierra games, having played some of them and not thinking them any better than 'okay games'. 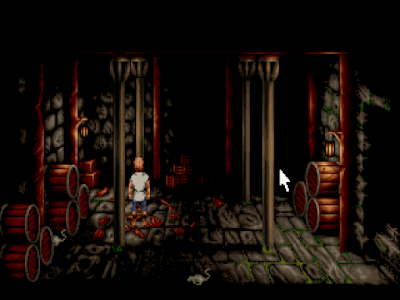 If digital distribution were around then, I might have given them a go earlier, but here we are now – a Quest for Glory newbie wading into the waters with the VGA remake of the first Quest For Glory – it seems appropriate, or interesting, or apt, or... something. Last week, we made our first real trip back into the Great Underground Empire with Sorcerer. After learning that the demon Jeearr had taken control of the guildmaster, it was up to me to teleport to his location and rescue him… because everyone else went on a picnic. Using a handy Infotator that we nicked from the guildmaster’s room (and included in the game packaging), we cracked the code to a trunk in the guild basement which contained an “aimfiz” scroll, a teleporter. Moments later, we were halfway around the world and near the entrance to the sprawling Great Underground Empire. In a few minutes of exploring, I managed to find an underground amusement park and a quick death at the bottom of a chasm. It’s time to explore. I want to pause before we get started because, as some of you know, Seastalker is the next game in the series. 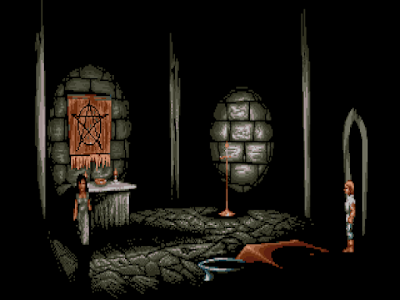 Written by Stu Galley and Jim Lawrence, it is Infocom’s first juvenile adventure game. Mr. Lawrence was an accomplished master of juvenile fiction, having written more than fifty books before the 1980s, not to mention comics and radio plays. He loved to write adventure fiction and contributed books to Hardy Boys, Nancy Drew, Tom Swift, James Bond, Buck Rogers, and other series… none of which I read as a kid. To help me get into the spirit of his work before starting into Seastalker, I am reading a few of those books, starting with 1957’s The Ghost of Skeleton Rock, a Hardy Boys adventure. 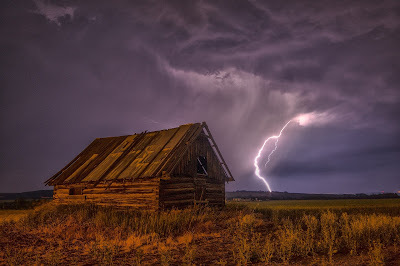 I have put up a bonus post including my thoughts on that book and may do one or two more depending on timing and my ability to juggle the interactive and traditional varieties of fiction. I don’t want to get too far ahead of myself. There’s a Great Underground Empire to explore, after all. Re-reading my previous posts about this game, it might seem like I loathe it. You could see me bitching about it from the introduction until the end of my second playthrough. But the truth is not so one-sided. I can say that I have actually enjoyed my trip even in spite of the multiple problems this game has. The game possesses some charm, although it kicks in later in the game, with the first two opening acts being too slow in my opinion. Even on my second playthrough I was delighted when discovering new things. Speaking of which, although my first and longer playthrough was on ScummVM, it is only fair to judge the DosBox version. Let’s begin. Lure of the Temptress: Won! Well, I’ve done it. I’ve come to the ignominious end of an ignominious game. 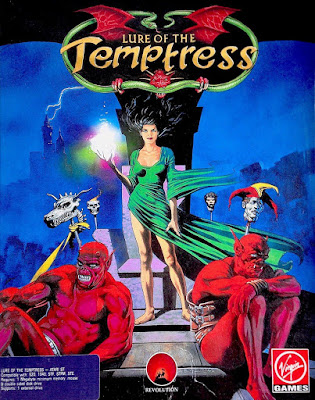 Upon getting Diermot smuggled into the castle, it didn’t take long to finish Lure of the Temptress, mainly because there just wasn’t much to do. Last week, we started Sorcerer, the fifth canonical Zork game. After a particularly vivid nightmare sequence where I was killed by hellhounds, snakes, locusts, and lightning, I awoke to find the guildhall empty and the Guild Master, Belboz, missing. Thanks to some security nymphs, I cannot leave by the front door to rescue him. Time is passing very quickly and if I fall asleep, I am captured by a demon and subjected to a fate worse than death. They say that even the longest journey begins with a single step; I’m not even making it that far. Today’s post will be a bit shorter than usual. 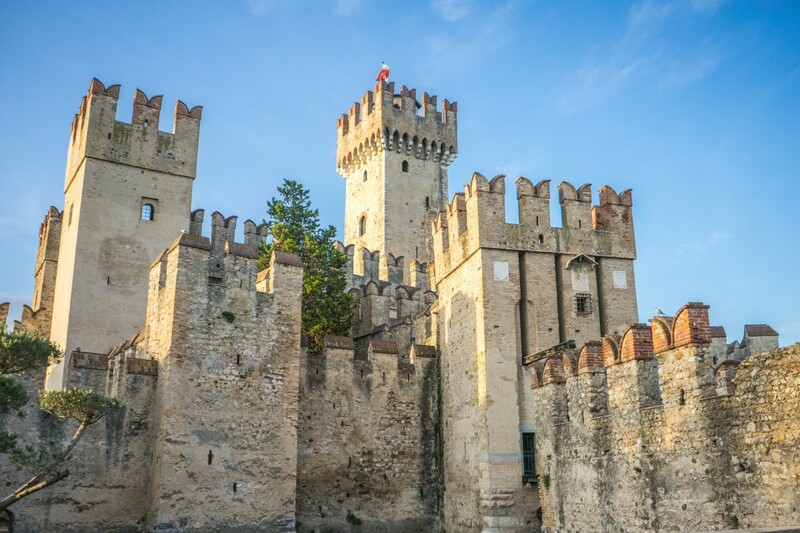 Several “real life” events conspired to prevent me from writing as much as I had hoped. I have made it farther in the game than I document here and I want to make sure that I’m taking the time to properly discuss the puzzles that I found, rather than rush through them to cover more ground with this post. On the bright side, this is a game worth savoring. The Dagger of Amon Ra - Won! If you have kept up to date with this playthrough, I have played The Dagger of Amon Ra to completion but failed miserably to answer the coroner’s questions. As I played the version of the game sold by GoG which uses ScummVM, I thought it a good time to replay the game using DosBox to try and beat the game and see the differences between the two versions. In that regard, there are not that many. The first and most obvious one is, as Laukku pointed out, that there is no option to have both sound and text during the game. You have to choose one of them. Given that the quality of the recordings is not that great, that is more of a feature than something you can really miss but it is an odd option to leave out of the game. In fact, this time I played with only text to shorten the experience and because I don’t really think you are missing that much without the voices. I didn’t notice any other major differences but for a myriad of bugs, but I am not even sure this affects only the DosBox version. But I will get to them while recounting the game. My plan for this second playthrough was to try and discover what I had missed by being a bit more thoughtful and persistent and not simply accepting time jumps as they come. Also, I just went ahead and read Illmari’s clues and a walkthrough after considering being “done” with every time slot so I don’t have to replay the whole game if I miss something crucial. Let’s see. Lure of the Temptress is like a food that you want to like, but every time you eat it, you get indigestion. Or a song you know should be up your alley, but in the middle of what should be a good part an obnoxious squealing sound ruins everything. Or that person you date time and time again, only for them to completely ruin the moment with an inappropriate comment or some ill-timed flatulence. 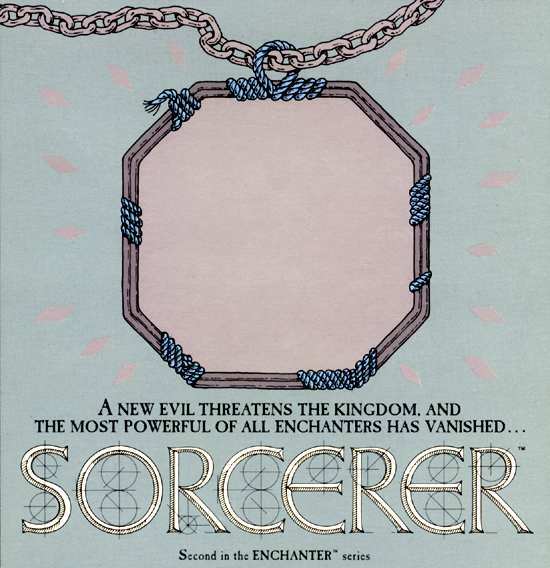 Infocom’s 1984 started off with a bang: Sorcerer, the fifth canonical Zork title and the second in the Enchanter trilogy, was the first game of the year. This is also the first Zork title not to be written by Lebling and Blank. Instead, it is helmed by the mastermind behind the Planetfall game as well as the Zork gamebooks that we looked at recently, Steve Meretzky. He is my favorite “implementor” of the gang so far and I am looking forward to playing this game immensely. I hope he sticks the landing after the disappointment that was Mike Berlyn’s Infidel. 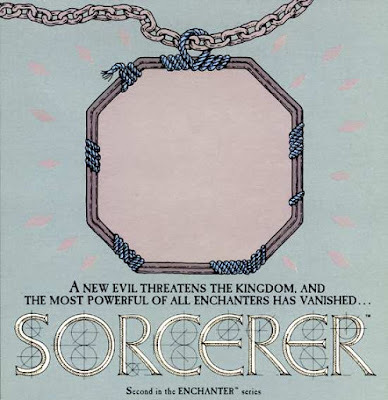 But that does raise a question: why was Sorcerer released so soon after Enchanter? Each of the Zork games to this point had a fall release (November for the first two, then September). By releasing Sorcerer in March, that left only a five-month gap between releases. Was it intended to capitalize on the marketing of the Zork books? If so, why was the fourth and final gamebook released in the “usual” timeslot in October? It’s almost as if the fourth book was timed to be released when Sorcerer would have come out… If there is a story here, I do not know it and I welcome anyone that can shed some light on the subject. Whatever the reason, Spellbreaker took the usual fall release spot and players had a 17-month delay after this game before the finale. 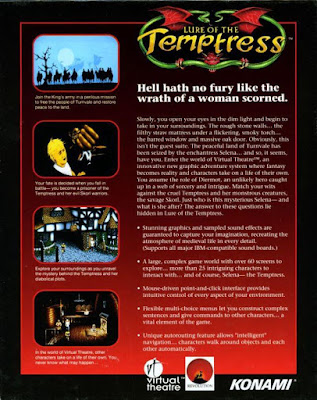 The first sign I see that Mr. Meretzky is in charge of this game comes immediately after opening the manual: the new game is not shy at all to be connected to the previous Zork titles. I’m excited! The Dagger of Amon Ra - Lost? Mon dieu! Let’s shout some more easily misinterpreted things so we can provoke a hilarious situation!